I am learning to let my dragons evolve, and in this case, take on the traits of what inspires each of them. Orcas are amazing, and I always wanted to see what I could do with them. 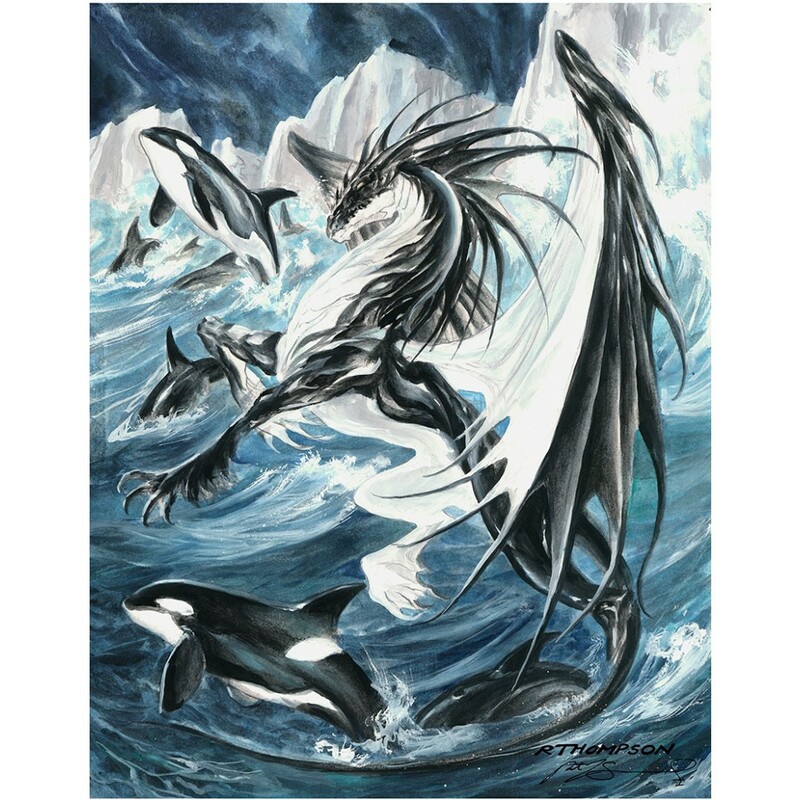 Oceanus is available in 16 X 20 matted or 22 X 28 matted. Your choice of mat color. I am learning to let my dragons evolve, and in this case, take on the traits of what inspires each of them. 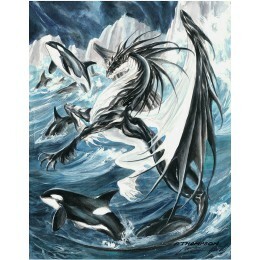 Orcas are amazing, and I always wanted to see what I could do with them.